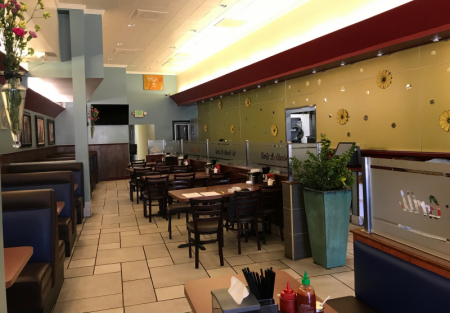 Vietnamese restaurant for sale in downtown San Rafael shopping center near wholefood market, restaurants, Peet's coffee and easy access to highway 101. Last year the the store was doing $834,000 a year in gross sales. Currently doing $80,000 - $90,000 a month in gross income. The lease is $10,500 a month all inclusive rent. Long term lease with shopping center. Approximately 2800 square feet with big kitchen with 26 feet type 1 hood, walk in cooler, walk in freezer, 6 big burner stove, 3 wok, flat griddle, 12 inch grill, prep sandwich table, 6 small burner, 6 ft food prep table, 2 deep fryer and much more! !